BIRSt Live may be over, but fear not! Hitting the airwaves at 6pm on Wednesday 19th June 2013 will be, A Theatrical Murder- an interactive radio murder mystery, written and starring the students of Bournemouth University. 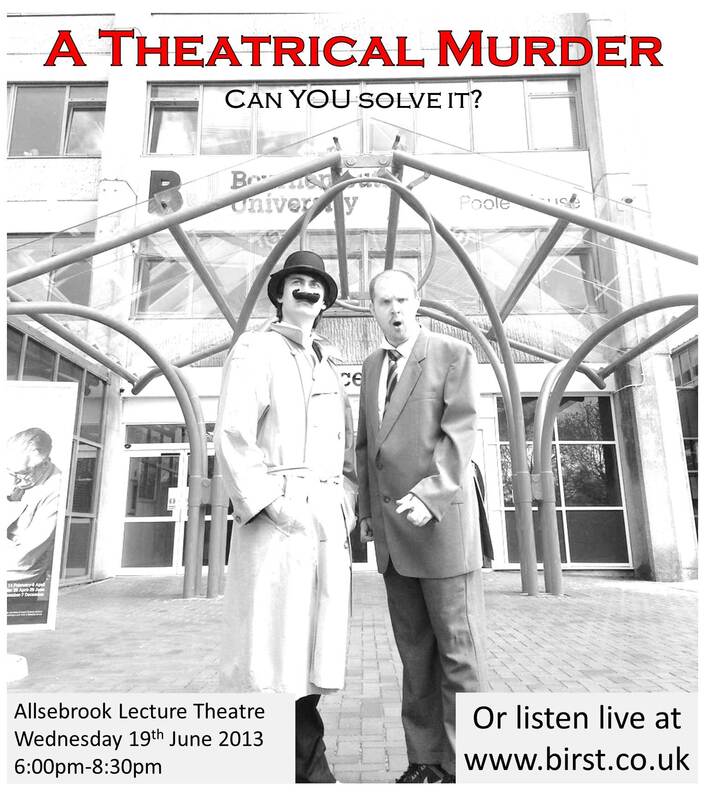 So whether you’re in Bournemouth and can come to the Allesbrook lecture theatre on the Talbot Campus and experience it live for yourself or if you cannot attend, you too will still be able to take part and help to solve the crime that has unfolded.